Does wordpress or other blogger can purchase at here too? Ans: Sorry, I am not sure about this. You can email them and ask them about this. After click it, you may bank-in the amount of money that u choose to their account and after you successful transfer money to them, please email them as an confirmation and wait for their reply. Already show off my bloggie and now is the time to show off myself!! Wuhoo!! I give myself a big surprise that I had never done in 10 years. Yup!! 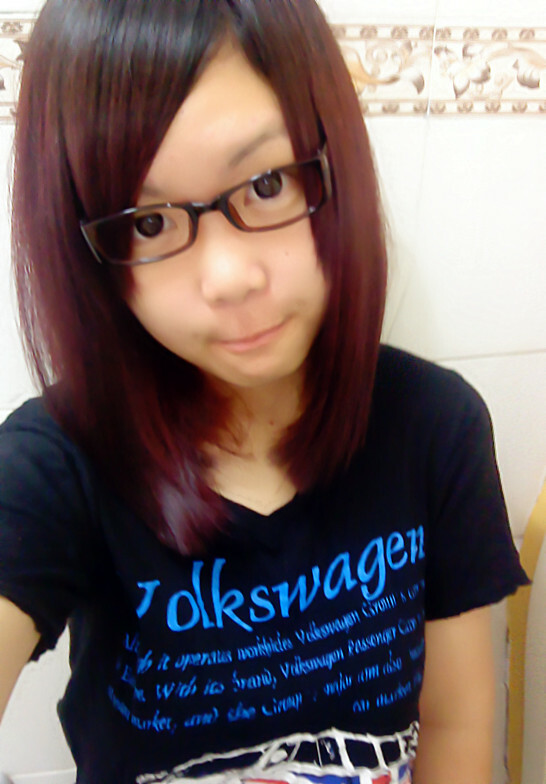 I change my hair style!! Don’t you always change hair style? Yup, I always change but I never cut my hair short till like this. Surprise har? Just yesterday I was at my hairdresser's. I tend not to change my hairstyle too much, i love my hair looking natural. Your new haircut suits you well. Have you always worn long hair? in your case? I wouldn't mind writing a post or elaborating on a lot of the subjects you write concerning here. Again, awesome web log! your sites reallу niсe, keep it up! on the subject of this subject, produced me individually consider it from numerous various angles. These are really so cute and awesome hairstyles.I really like this effort so much.